Enjoy the intense heat and flavor of all of our top selling pepper flakes with our 1 oz three pack Hot Box. 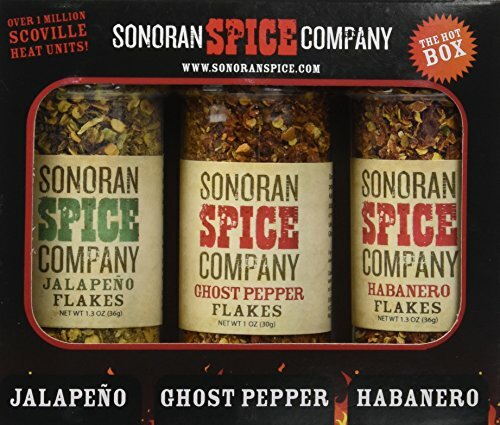 Each three pack contains the following: 1 oz Ghost Pepper Flakes, 1.3 oz Jalapeno Flakes, 1.3 oz Habanero Flakes. Each 1 oz bottle in the three pack has a sifter flip cap that is sealed to maintain freshness. Makes a great gift!